Dawn Meats is bringing its sustainability story to life at SIAL Paris 2018, by hosting an innovative interactive visitor experience at its stand. In keeping with the company’s drive to become Europe’s most sustainable meat company, visitors to the company's stand are greeted with a digital interactive experience in place of traditional fridge displays, providing information on over 150 different products, company and supplier information, animal welfare and sustainability credentials. Dawn Meats said that its digital-first approach at SIAL this year will help to reduce food waste and cut printing costs. 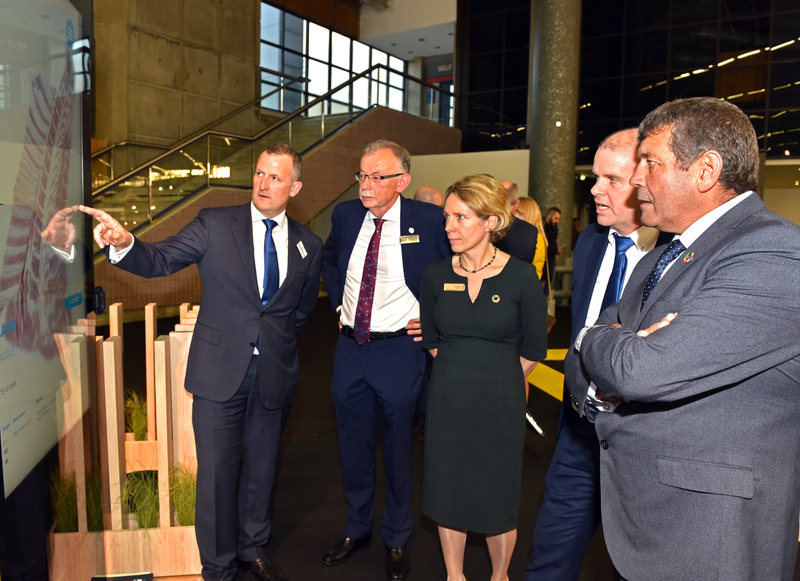 Pictured at the company's stand are Niall Browne, CEO, Dawn Meats; Dan McSweeney, Chair Bord Bia; Tara McCarthy, CEO, Bord Bia; Philip Tallon, Group Operations Manager Dawn Meats; and Andrew Doyle T.D. Minister of State for Food, Forestry and Horticulture. SIAL Paris runs until Thursday 25 October. Dawn Meats is located at Hall 6, Stand D258.